The newly named Ebenezer D. Bassett Hall at Central Connecticut State University in New Britain. 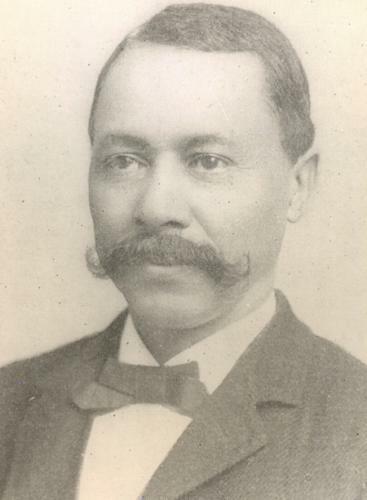 Ebenezer Bassett was the first African American to graduate from the college now known as Central Connecticut State University. Then, in 1869, he became the first African American to serve as a U.S. diplomat. 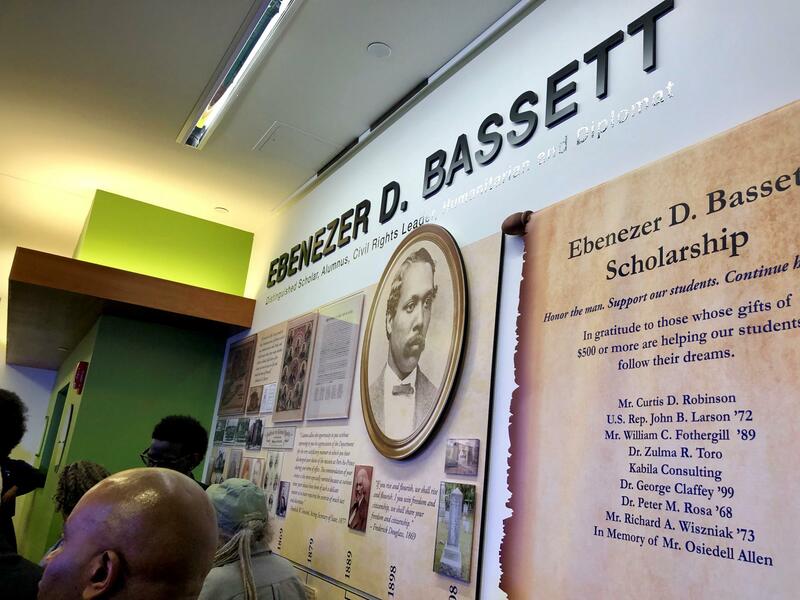 The university committee that pushed to memorialize Bassett declared this was the first time a public university in Connecticut would have an academic building named in honor of an African American. “The first!” committee chairman William Fothergill said at a ceremony Wednesday in the newly named Ebenezer D. Bassett Hall on the New Britain campus. Inside the lobby of Ebenezer D. Bassett Hall. The University of Connecticut was included in the committee’s research, Fothergill said. A spokesperson for UConn said Thursday that she was unaware of any of its academic buildings being named for an African American. One of UConn’s residential complexes, Busby Suites, is named in honor of Alan Thacker Busby, UConn’s first black student. Ojakian told Connecticut Public Radio that the Board of Regents for the state colleges and universities system is now reviewing its policy on naming buildings. Bassett was an educator, abolitionist and a U.S. diplomat to Haiti before his death in 1908. The decade-long effort to honor Bassett is having a ripple effect. Western Connecticut State University is in the process of naming its School of Visual and Performing Arts after the legendary African American singer Marian Anderson, Ojakian said. Don't Know Much About History: Is It Time To Change Public School Curriculums? Do you remember high school history? The subject has the reputation of being “boring”, thick with names and dates that can be a chore to remember. But this hour we ask: How do the history lessons we learn in school shape the way we see the world around us?